The British squad continues to bolster its lineup for grand tours as it seeks to continue success in the calendar's major races. 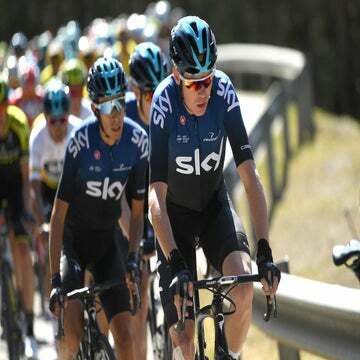 FLORENCE, Italy (VN) — Team Sky is reinforcing its 2019 roster to continue supporting Chris Froome, Geraint Thomas, and new star Egan Bernal. Thursday morning, the team confirmed it has renewed Luke Rowe’s contact through 2021. Announcements for new cyclists like Colombian climber Ivan Sosa should follow shortly. 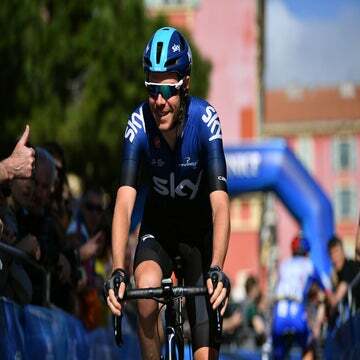 The Welshman, who helped Froome and Thomas win the Tour de France, will also continue “to keep knocking on the door at the classics.” After the spring, he hopes to continue to be part of Sky’s impressive grand tour squads. Bernal, only 21, joined Sky this year and made his grand tour debut in the Tour de France to help Thomas win the overall. The top brass decided to extend his contract by five years after his strong first year. The deal keeps reinforcing Sky’s grand tour teams as star Froome gets older — he’ll be 34 next year. Bernal finished 15th overall in the Tour and second in the youth classification, which could have been a white jersey win if not for an early crash. Earlier in the year, he won the Oro y Paz and the Amgen Tour of California, and placed second overall in the Tour de Romandie. The roster from 2018 already includes Russian Pavel Sivakov, winner of the Giro d’Italia and Giro della Valle d’Aosta stage races in 2017, and young British talent Tao Geoghegan Hart. Sky is also expected to soon announce the arrival of 20-year-old Colombian climber Ivan Sosa, a source close to the deal told VeloNews. This season while riding for small Italian team Androni Giocattoli-Sidermec, Sosa climbed with the best — including Froome in the Tour of the Alps. He won the overall in the Tour of Bihor, the Adriatica-Ionica, the Sibiu Cycling Tour, and the Vuelta a Burgos. In one of the most prestigious races for young riders, the Tour de L’Avenir, he won a summit-finish stage ahead of American Brandon McNulty and placed sixth overall. “He apparently didn’t have a contract with Trek, and that was clarified afterwards,” the source told VeloNews. Sosa’s arrival builds Sky’s support arsenal for grand tours and other stage races. It already can rely on new helpers Geoghegan Hart, Sivakov, Sebastian Henao, David De La Cruz, and Diego Rosa. “Sosa is a rider who has big future as a climber,” Androni general manager Gianni Savio recently told VeloNews. “He can show that climbing talent well if he signs with Team Sky. He can go for stages in grand tours. “As I’ve said many times, Egan Bernal is the complete package. Bernal, who showed in his first grand tour, the Tour de France, he can one day get on the podium and win. Team Sky also has its eyes on 21-year-old Jhonatan Narvaez from Ecuador. He is currently racing on a contract through 2020 with Quick-Step Floors. Quick-Step general manager Patrick Lefevere, despite securing a new title sponsor in Deceuninck, is said to be selling some of his cyclists — including Fernando Gaviria — to free up some of the 2019 budget.